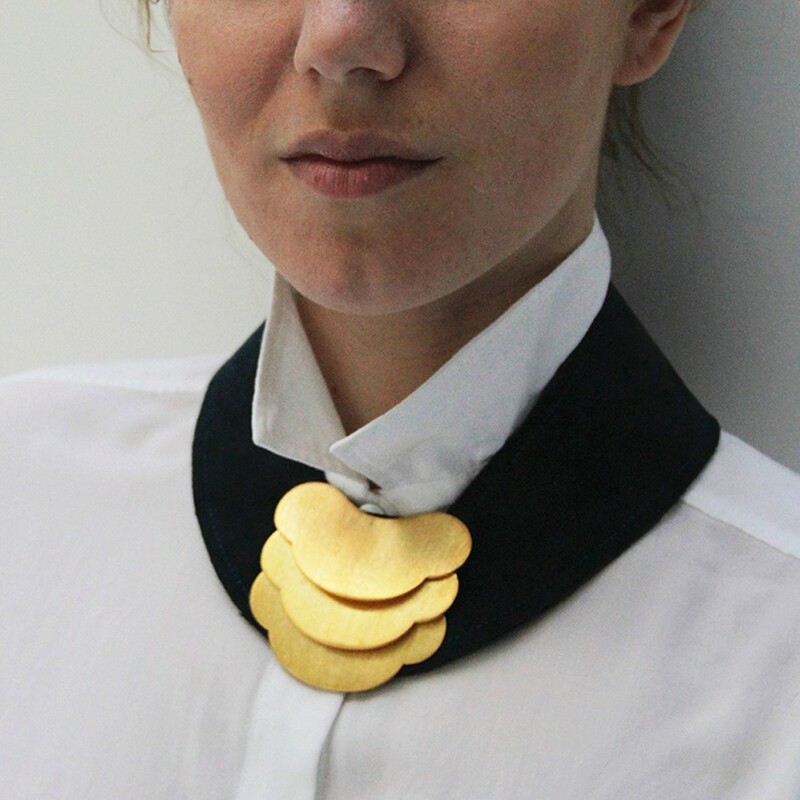 Designer silk and brass necklace. Nefertiti collection. 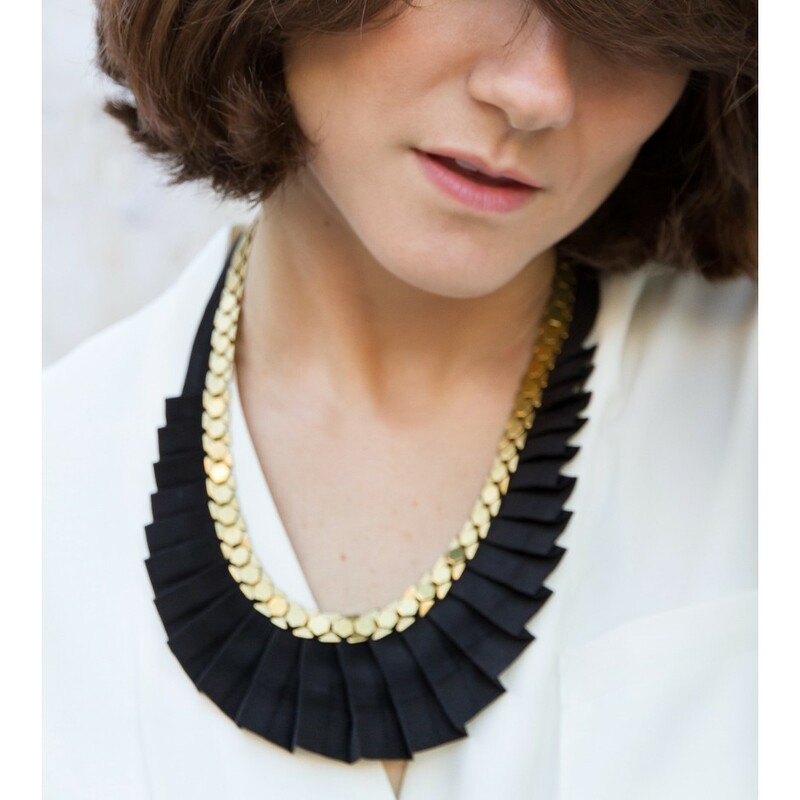 Black designer silk and brass necklace. "Nefertiti" collection. 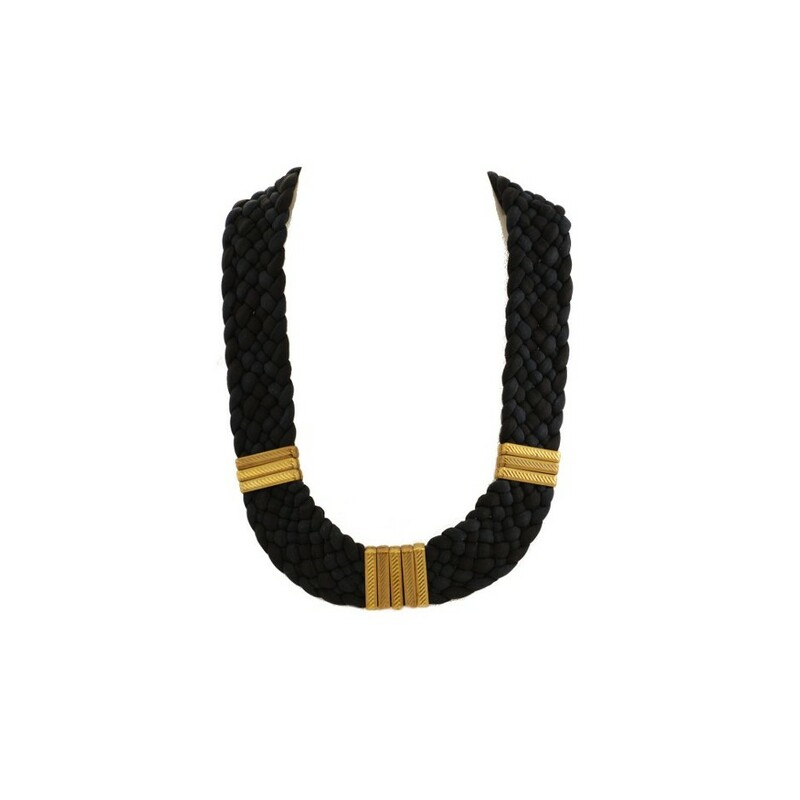 Black and navy blue designer silk and brass necklace. 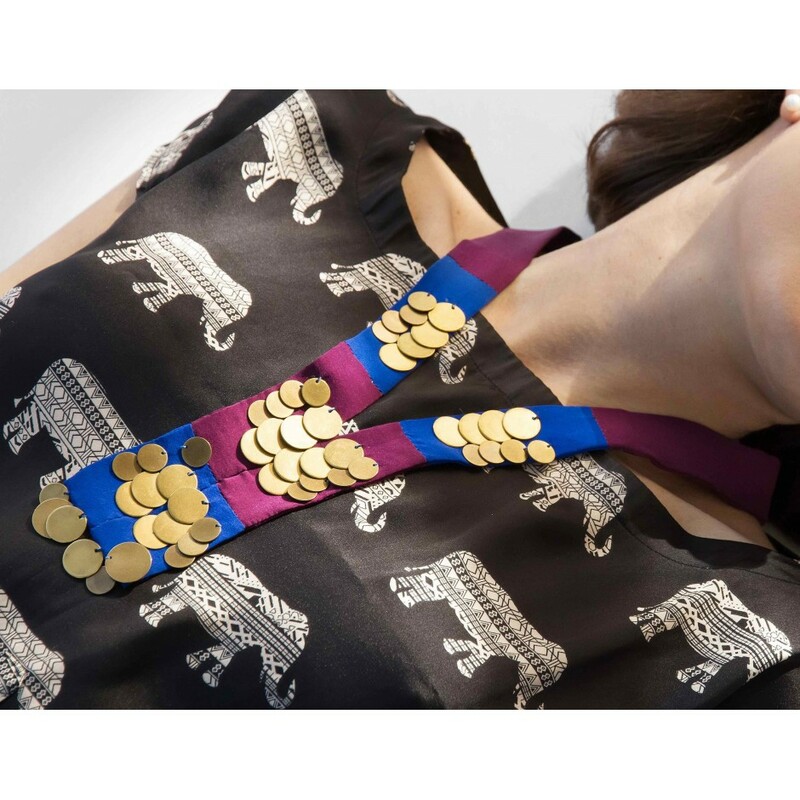 Print designer silk and brass necklace. Brass and emerald peacock blue designer silk necklace. Néfertiti collection. Undressed peacock blue velvet leather with gold plaited 24-carat necklace. Brass and emerald navy blue designer silk necklace. Néfertiti collection. 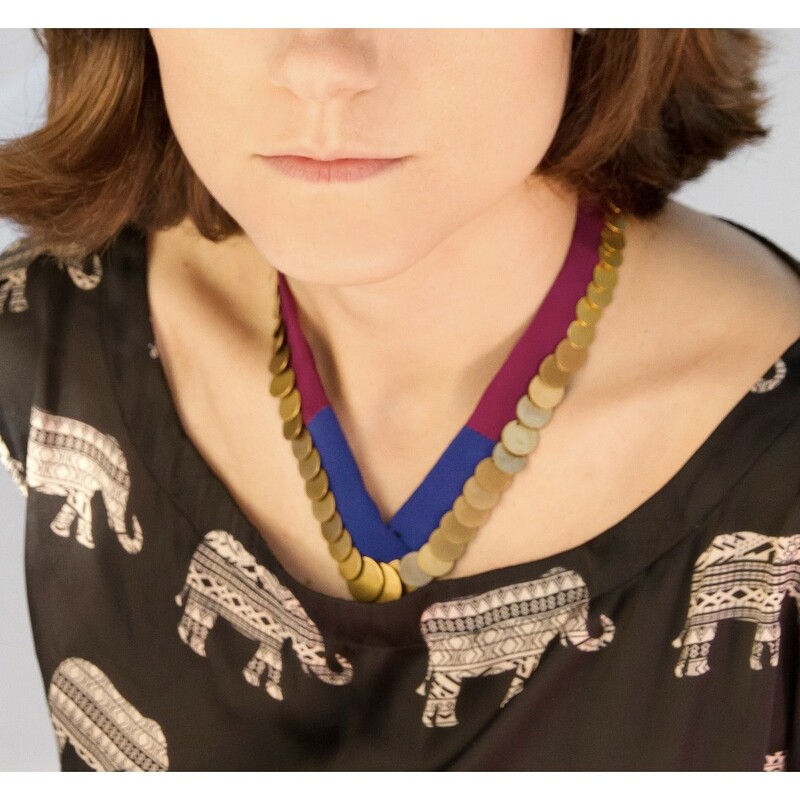 Electric blue and navy blue designer silk and brass necklace.